Pestivirus (also known as BVDV – bovine viral diarrhoea virus) causes abortion, ill thrift in young animals, diarrhoea and respiratory disease. Pestivirus is widespread throughout the Australian cattle population. About 70% of herds are actively infected with the virus. Infection of susceptible animals can cause a variety of diseases, some not apparent until well after the initial spread of the virus in a herd. Early-term abortion or embryonic loss. Increased susceptibility to other diseases. Weak, stunted or deformed calves. There is an AgFact here, which lists various methods of control, including an annual vaccination (expensive) program. Controlling and eradicating cattle ticks is extremely important to the viability of the cattle industry. Cattle ticks are the most serious external parasite of cattle in Australia. 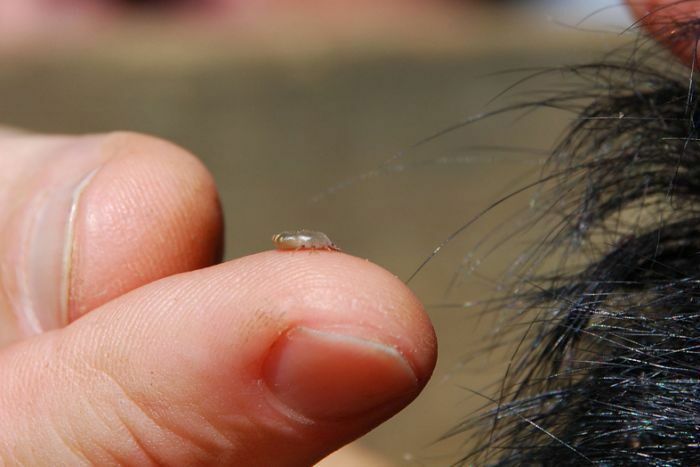 The tick can carry the disease ‘tick fever’, which can kill cattle and has the potential to cause significant economic damage to the beef cattle and dairy industries of NSW. There is an AgFact on them here. The only method of control is dipping. Cattle ticks can be seen at any time of the year, but they mainly occur from late spring to midwinter. The numbers found on cattle increase rapidly from summer to autumn, reaching a peak on the north coast of NSW in late autumn to early winter. They decline with the onset of colder weather. A recently completed research project led by Dr Peter Honey from Charles Sturt University has demonstrated that resistance to internal parasites can be improved through genetic selection, and it is likely that it is possible to select for greater resistance to internal parasites within a breeding program without compromising other commercially important traits. The research project focussed on resistance to internal parasites in pasture based breeding herds in south eastern Australia with faecal egg count (FEC) samples taken from Angus cattle in 8 herds from Coolah in northern NSW to Mortlake in the Victorian western district. All calves were bred by AI using known fully BREEDPLAN recorded bulls with samples taken on animals between 6 and 17 months of age. Approximately 2500 samples, representing progeny from 77 different sires were evaluated in the research project. Please pass this email on to your friends, family, neighbours and colleagues as they may be interested in this training. If you have any questions, please contact RuralBiz Training on the below details. You may also like to check our website www.ruralbiztraining.com.au which has details of other accredited short courses we offer.